We perform carpet dyeing services to restore the color that has been lost in carpets and rugs from bleach spills. The process starts by neutralizing the bleach in the carpet and then restore the color to a nearly identical shade. We can also bleach out a hair dye spill and then neutralize and restore the color. This service is more expensive than a bonded insert from a repair job. 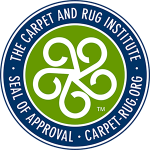 It is ideal if the spot is in the middle of a large room or patterned carpet or where no donor carpet is available for a bonded insert. Carpet dyeing is especially useful for spots in commercial buildings. Hydro Clean uses the best liquid dyes that set instantly and will not bleed or transfer. Our color correction software is the best in the industry and helps achieve the best possible result. 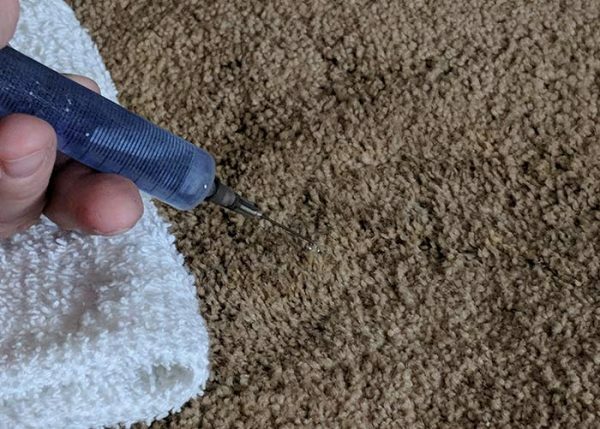 How Does Carpet Dyeing Bleach Spill Repair Work? Unlike stains, which adds color to a carpet, bleach removes color from the carpet. 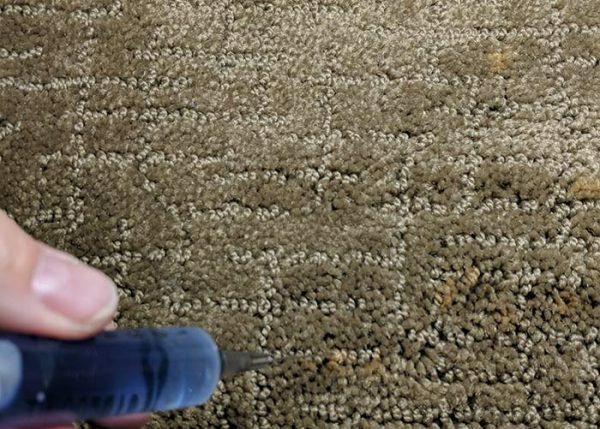 In order to restore the bleach damage, we must add the missing colors back to the carpet. To do this, we use a state-of-the-art color analysis program to determine what colors are needed. We then mix a custom dye formula and apply it to the floor with a syringe. Bleach on carpet repair is a painless process from your perspective – we can work without stopping your life or business operations. Most bleach spill repairs take between 30 minutes and two hours. Our service area also includes, Woodland Park, Peyton, Falcon, Larkspur, Monument, Black Forest, Castle Rock, Fountain, Security and Fort Carson.